The 50th Anniversary Box Car carries a unique catalog number separate from other examples of the 50′ Plug Door Box Car model. 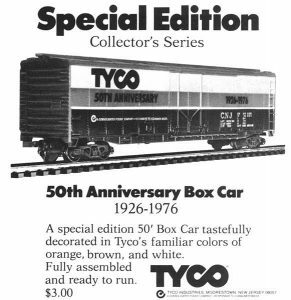 TYCO often would use the same base model and describe it differently to expand and enhance the rolling stock offerings. 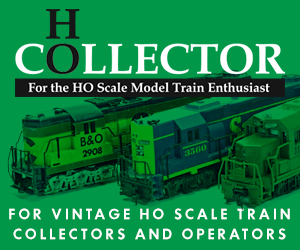 The Special Edition ad seen above was featured in a November 1976 issue of Railroad Model Craftsman magazine. The example pictured below is the prototype model displayed in the 1976 catalog. 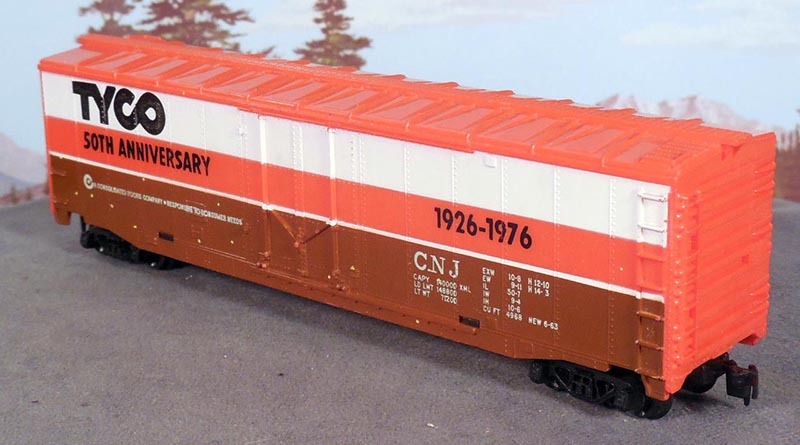 Actual production run examples feature an orange roof and ends.